3D Printing and Additive Manufacturing is a peer-reviewed journal that provides a forum for world-class research in additive manufacturing and related technologies. 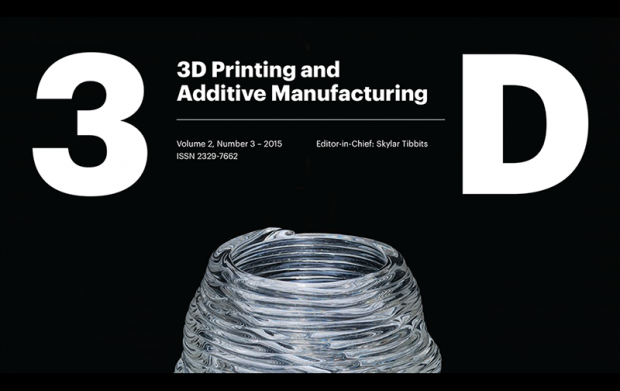 The Journal explores emerging challenges and opportunities ranging from new developments of processes and materials, to new simulation and design tools, and informative applications and case studies. Novel applications in new areas, such as medicine, education, bio-printing, food printing, art and architecture, are also encouraged. The Journal addresses the important questions surrounding this powerful and growing field, including issues in policy and law, intellectual property, data standards, safety and liability, environmental impact, social, economic, and humanitarian implications, and emerging business models at the industrial and consumer scales.